The chief executive of a South African pharmaceutical company Novatis International Dr Thomas Kowalik met Vice President Emmerson Mnangagwa in Harare yesterday to explore ways of helping diabetic patients in Zimbabwe. Speaking to journalists after the meeting at VP Mnangagwa’s Munhumutapa offices, Dr Kowalik said they were keen to assist in the area of training and awareness. “As you know, in Zimbabwe we have a lot of issues with non-communicable diseases like diabetes and hypertension, which are a burden to the society,” said Dr Kowalik. “We were discussing ways on how we could train medical practitioners, nurses and create awareness among the population on those diseases. Dr Kowalik said the meeting was also aimed at finding access to the local market for their products. Dr John Chamunorwa Mangwiro of the Zimbabwe Diabetic Association, who was accompanying Dr Kowalik said: “We went all the way making sure that diabetes is prevented by us going back to our traditional foods, small grains where we are going to move with the VP. 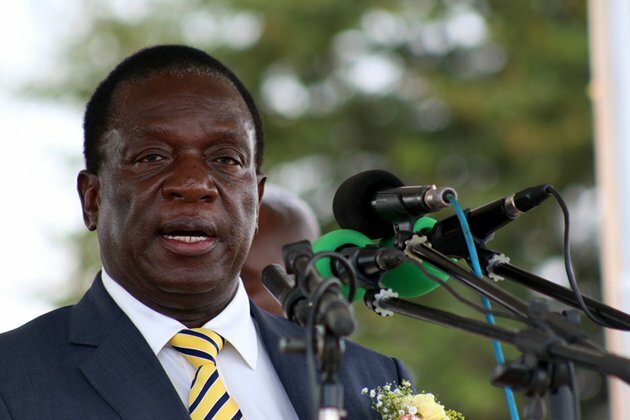 “He (VP Mnangagwa) is quite enthusiastic about small grains and we need to push this forward. In the end, we need medicine to help alleviate diabetes and this is where we called in our partners and we are hoping that they help us reduce prices. “Some of the medicines are quite unreachable for the general public and we have actually emphasised that some of these drugs, even if they are new, should be found in public places as well. Dr Mangwiro said they also needed support to do awareness campaigns about the diseases and Novatis had committed to help in that regard.